The Reverse Book Club was devised in 2007 as a means of directly connecting Book Aid International supporters with individual readers. It works exactly like your average book club, except you’ll never receive any of the books you buy – instead they’ll be sent on your behalf to people in the developing world, bringing all those page-bound possibilities, adventures and experiences to classrooms, libraries and minds hungry for them. You have the option of signing up for a monthly subscription of £6, £10 or £25. Over the course of a year, a £6 monthly club membership translates into 36 books to stock a community library, reaching children and adults who might otherwise not have the opportunity to enjoy reading for pleasure or learning. A £10 monthly club membership could result in a hospital receiving 60 books. 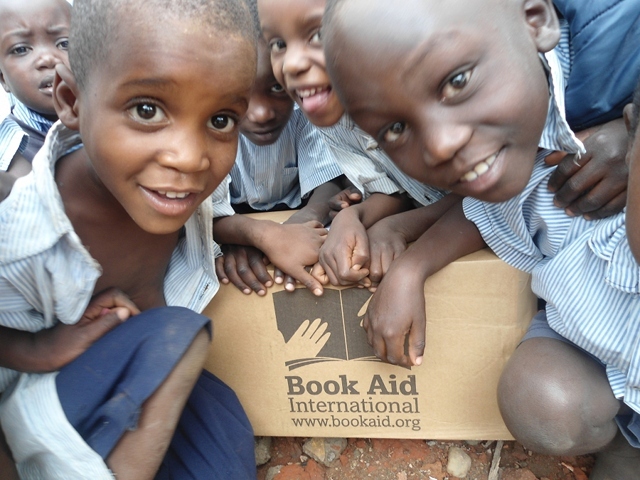 A £25 membership could provide a starter library for a school, equipped with around 150 books. Supporters include Bloomsbury Publishing, Foyles and The Book Society. To find out how you can become a Reverse Book Club member, visit www.bookaid.org/donate/. This entry was posted in News and tagged charity, Michael Palin, Reverse Book Club by Judy. Bookmark the permalink.